Order unfinished oak floor registers and replace your old rusted metal registers. Wood cooling and heating air vents will add a warm look to any space. Unfinished oak floor registers allow you to stain them to match your existing floors or trim. Installing new heating air vents is a breeze. Simply drop the unfinished oak floor register into its hole and you are finished. These heating air vents are suitable for use with both cooling and heating systems. Hint: Registers are listed for the hole size they work with. If the hole in your floor measures 4" x 10" then you will want a 4 x 10 floor register. 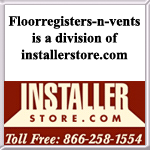 **In order to provide a large selection in heating air vent sizes, we use a few different manufacturers. This allows the large unfinished oak floor registers size selection, but there are two different styles of damper used by the different manufactures. 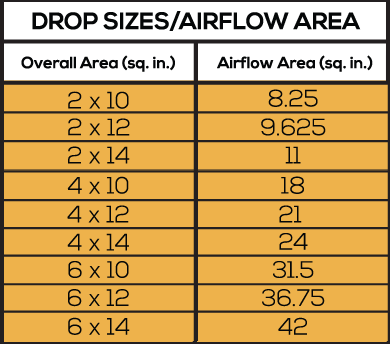 The following sizes of heating air vents will have standard dampers which drop in approximately 1 1/4 inch: 2 x 12, 4 x 10, and 4 x 12. The remaining sizes of unfinished oak floor registers have the sliding jiffy dampers and will only drop in 3/8 inch. Looking for a heating air vent in different wood species? We have many to choose from. Looking for an 8x10, 8x12 or 8x14 size? Find these sizes in an unfinished wood floor return. Upgrade floor registers with new unfinished oak floor registers, shipped straight to your door!